So somehow I blinked at some point in February and suddenly it’s the beginning of June and I’m back at home in the UK, my year abroad officially over. Even now, writing that down seems totally insane to me. Trying to recap the events of my last three months would be a long and probably unfruitful task but they were a lot of fun, passing in a blur of laughter, stress, late nights, Tim’s, travel, snow, sunshine and general good times. It’s safe to say that my departure involved a lot of nostalgia and some tears too. There’s no doubt in my mind that a trip back to Canada will be on the cards in the not too distant future. Anyway, now I can officially tick year abroad off my bucket list, I thought I would impart a few words of wisdom to any of you who are lucky enough to be jetting off next year. I’m very envious. Some of these are a little Queen’s/Canada-centric but the general principles should apply. Take full advantage of your weekends to see places around you. Kingston isn’t exactly the most well-connected, certainly by European standards, but it does quickly become a bubble, so sometimes it’s nice to break out. Jump on a megabus or even a train and it’s surprising how far they can get you, as long as you’re prepared to settle in for a few hours journey. 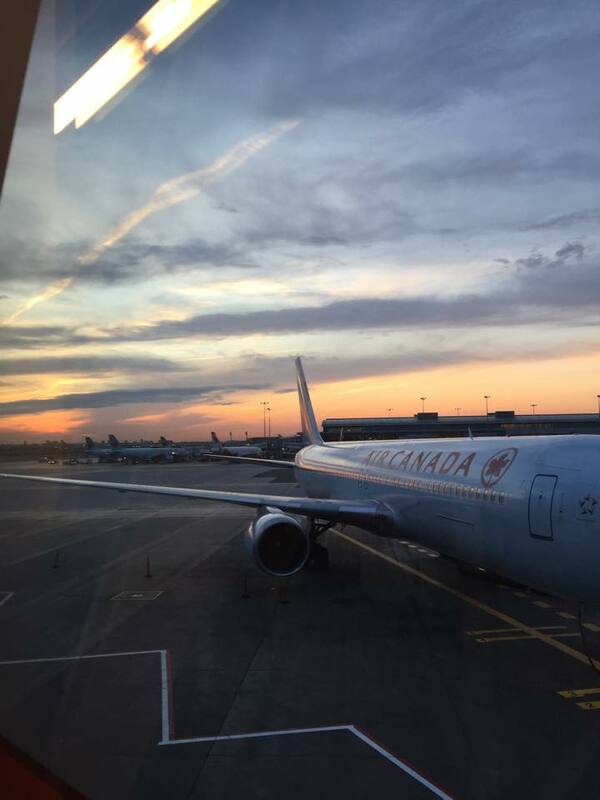 For me, travelling meant sightseeing trips to Toronto, Ottawa and Montreal, weekends skiing in Mount Tremblant and wine tasting in Niagara Falls, as well as Easter weekend in NYC and of course our reading week trip to the Dominican Republic. There’s no real budget airline equivalent and the most cost-effective forms of transport are often not the most convenient (e.g. renting a car if you’re under 21) so it’s probably a good idea to save up and create a budgetary buffer to accommodate all those spontaneous plans you might encounter. It’s worth every cent a thousand times over though, and if I had my year again, it’s the main think I would look to do even more. Kingston is a small place – you might have heard me mention that one before – and Queen’s is an even closer-knit community. The best way to make yourself feel part of this is to get involved on campus and meet people outside of youre housemates and classmates, who you can chat to on the sidewalk when you bump into them on campus. Unlike Edinburgh, I discovered that, at Queen’s, it’s pretty rare to find someone who is not part of at least one club, volunteering program or on-campus job. The time commitment required for each activity varies a lot (I was almost persuaded to try out for the varsity figure skating team, who train every weekday morning at 5.30am – LOL JK, no thanks) but if you investigate a bit, you’ll easily be able to find something to fit both your interests and schedule. As you’d expect, all the main organizations on campus revel in some self-promo at several opportunities during the beginning of the year. This includes the sidewalk sale during frosh week (a must-go, even if it’s purely for the free stuff) and the official sports clubs night, which I seem to remember is a few weeks later. If you’re going on exchange to Canada, hopefully you’re already prepared to deal with this. Coming from an ultimate weather wuss – I can find something to complain about, whatever the season – let me first say that you will survive. Lows of -40C in the winter sounds hideous, even to me, having lived through four months of it. But the best way to make it through is to make like the locals and just get on with it. Complain all you like, but in general, wrap up WARM, (I once wore thermals to a bar with absolutely no shame), drown yourself in Starbucks seasonal drinks and try and see at least a little sunlight everyday. It works wonders for your mood, with all that blue sky and sparkling snow. If you’re heading to warmer climes, then I hate you and you should probably pack some suncream. Yet even if/when you first arrive in Kingston, you should make the most of the sunshine, despite the fact that you’ll likely to a sweaty mess by the time you’ve walked the five minutes it takes to get to class. Enjoy it though – Kingston in warm weather, as I was reminded in my last few weeks, as we finally saw the back of negative temperatures, is an absolute joy. Swimming at the pier, gelato study breaks, the smell of back porch barbecues and beer pong on front lawns will make you feel like you’ve steeped into pretty much every teen movie ever made. I realize that this one is pretty hypocritical as piece of advice but let’s just roll with it. As much as Instagram might attempt to convince you otherwise, studying abroad is not a competition for who can use the ‘Valencia’ filter to convince others that they’re “totally having the best time evah.” Your year abroad is what you make of it and just like for university in general, there is no ‘one-size-fits-all’ secret to success. Go at your own pace; fill your time how you want. Of course it’s important to make the most of the opportunities you will encounter but there’s no ‘right’ way to do a year abroad. Ideally think about what kind of experience you want ahead of time and pick universities/cities you think will most likely enable you to achieve it. But equally, if you do get a place, make the most of wherever it is that you end up. Although my year would have been unimaginably different if I’d been in Australia or Singapore or even somewhere in Europe, most of qualities you’ll gain from an exchange are transferable. The world becomes a smaller place, your eyes are opened to the opportunities around you and you’ll gain a perspective you would never have had if you hadn’t submitted that application.